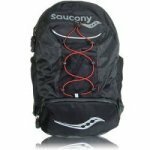 A truly innovative design makes this backpack a must have for all Triathletes. With dedicated compartments for all the gear you will need. 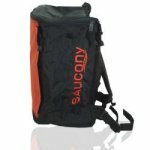 Mesh, Expandable Bottom Section, a seperate section to keep any wet clothes so that the rest of your kit stays dry. Seperate interior pockets - for a helmet and seperate bike and run shoes. Includes an Equipment Checklist printed on the inside of the bag which details all the kit you will need for your triathlon. This rucksack is a great buy, with plenty of room. " large middle pockets ensure you have all the room you need for your gear. 5 Pocket Design - 2 large middle pockets, a smaller internal pocket and 2 side pockets. 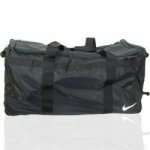 The wheeled holdall is an ideal Nike sport holdall for teams looking to transport kits and equipment to games, or even the laundrette. Made from durable and hard wearing polyester. - makes this bag heard wearing. 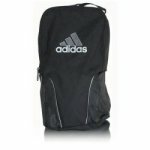 A very large middle compartment makes this ideal for storing yout teams kit. A pulling handle at one end, along with the wheels makes moving the bag about no problem - no matter how full it is. Plastic runners on the base make sure that wear and tear does not damage the base.